As I’ve mentioned before, study abroad is an amazing experience during college. It’s a fantastic opportunity to travel and learn about life outside of your everyday college campus. While abroad, your new life takes some adjustment. After all, you are living in a new country with different customs, food and possibly a foreign language. This period of adjustment is something everyone goes through. Coming back from abroad is similar as well. Reverse culture shock is the feeling you have when you’re not quite used to being back at home or on campus in the United States. 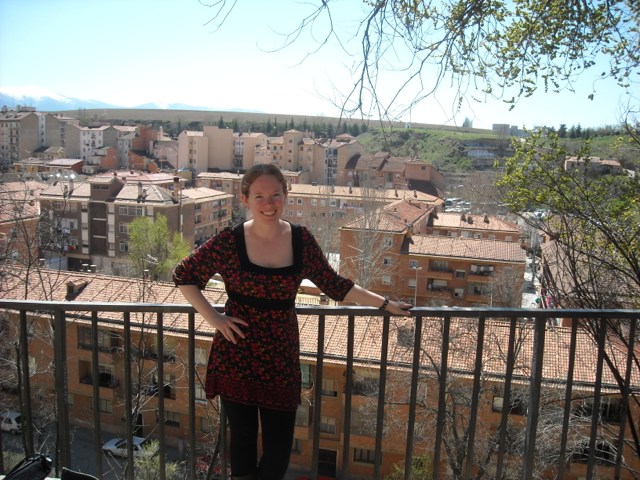 Often, reverse culture shock hits a few days upon return from study abroad. In my jet-lagged haze on the way home from the airport last spring, I remember staring out the window, amazed at seeing billboards written in English. I had gone so long looking at things in Spanish that it seemed weird to understand everything on an advertisement right off the bat! Reverse culture shock is also completely normal. Almost everyone who goes abroad experiences it. Reverse culture shock can be broken down into 4 distinct stages. Stage 1 is Disengagement. This happens when you are about to leave the country you’ve come to call home. Basically, you get nostalgic and become overwhelmed with good-byes and a reluctance to leave the place that has become such an important part of your life–both as a student and as a person. Disengagement can sneak up on some people, while others don’t feel this way at all. It varies on the person. Step 2 is Happiness. It’s the feeling you have when you step off the plane, see your family and friends at the airport and can’t believe the fact that you are currently back home. It also can begin abroad when you realize that you’ll be home soon and get to see your family and friends. For me, this happened as I was packing up my room, preparing to leave Madrid in a few days. I was overwhelmed with happiness at the thought of seeing my family! Step 3 of reverse culture shock is Irritability. This may happen when you realize that people don’t seem as excited about your stories as you expected them to be. It also can happen when you notice things about U.S. culture that you didn’t before, like how quickly people talk. These small things may build up to a desire to go back abroad. The final step of reverse culture shock is re-adaptation. It’s when you’ve finally settled into a specific routine at home or school. You’ve been with your family for a while and your friends have heard all about your life-changing experience somewhere in the world. At this point, students start to integrate their newfound experiences and discoveries abroad into their day-to-day lives back at home or on campus. Although you may be thrilled to be back home amongst your family and friends, reverse culture shock is completely normal. Adjusting back to school at your home university after a semester abroad may feel more different than anticipated, but take this time to enjoy the new things you discover, and celebrate the familiarity and friends you missed while you were away. You’ll soon see that those things you find “lame” about your old stomping grounds have their own unique charm, just like the new things you discovered abroad. Going, Going, Gone…Abroad! 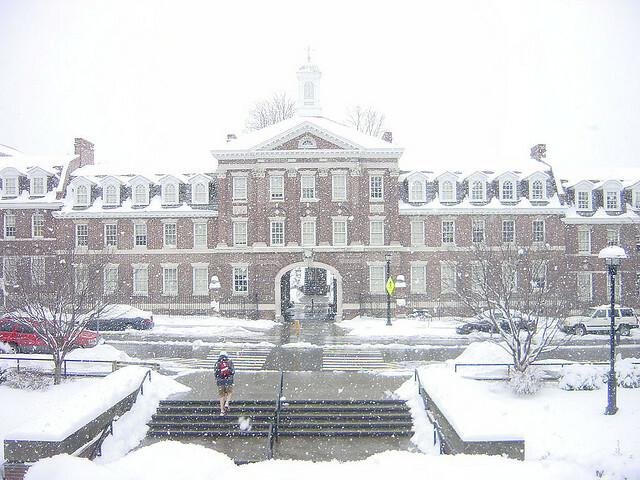 The Snowiest Schools in the U.S.